“It’s made an immense improvement,” says 2nd Ward Portsmouth City Councilwoman Jo Ann Aeh. “They did a great job,” says Terry Ockerman, owner of the Lofts at Gay and Gallia streets. “That was a pretty radical replacement,” echoes Scott Leeth, Portsmouth’s assistant to the city manager. 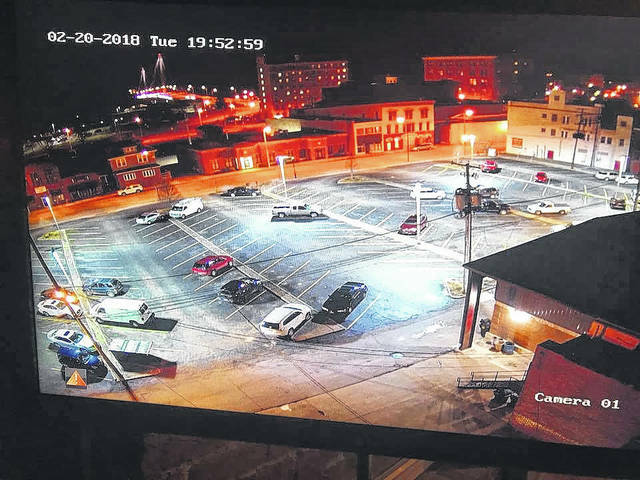 All three persons were talking about lighting improvements finished just this week at the Fourth Street Municipal Parking Lot, which sits adjacent to Ockerman’s building. Leeth says the city spent about $34,000 on updating the lights in the lot. Both he and Ockerman talked about replacing older overhead lighting with LED lighting, the latter being brighter, longer lasting, easier to maintain and more efficient. As part of the project, Leeth says the city had contractors remove old electrical conduit that was beneath the surface of the lot. Workers then essentially rewired the lot, removing what Leeth describes as “unsightly” overhead wiring, and putting that wiring into new underground conduit. “It was just a dim parking lot, and now it’s not,” Ockerman says. Leeth says city officials had been considering the project for some time. There were several reasons for that. “You have a whole cluster of buildings surrounding it (the Fourth Street lot) right in the heart of downtown,” Leeth adds. He, Ockerman and Aeh also talked about ongoing problems in and around the lot. Most especially, the three pointed to a fatal shooting at a bar off the lot late last year. Aeh also talked about car break-ins, while Leeth mentioned vandalism. 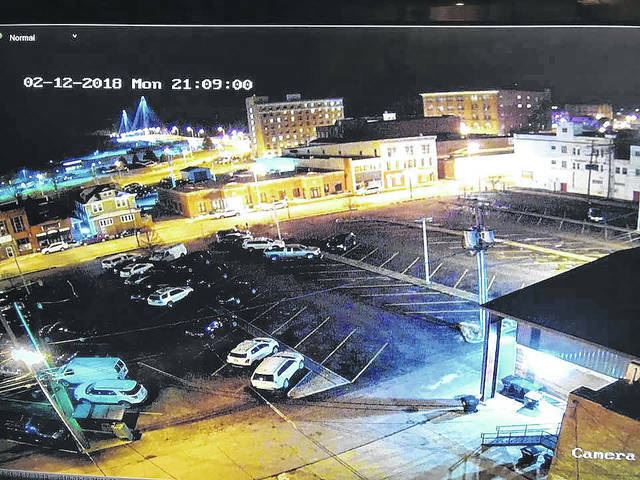 Both said those problems are not unique to the Fourth Street lot while also expressing a belief that better lighting will help alleviate some of the issues in the lot. “It really lights up that area,” Aeh says. Leeth recalls the lighting project was the first thing thrown his way when he became assistant to the city manager in November. “It was really a nice learning experience for me,” Leeth says, adding the project had widespread support and he enjoyed the cooperation of numerous business owners, including, of course, Ockerman. “It was a real pleasure to work with all of them on this project,” Leeth says. “We’ve had lighting issues back there for a while,” Ockerman adds. Both city officials say the Fourth Street project won’t be the last similar project. Aeh talks about some possible lighting improvements on Gallia Street. “It could use some attention, so to speak,” Leeth agrees, but adds that the project is still on the drawing board. Next up, he says, is lighting up a “Welcome to Portsmouth” mural created by the Portsmouth Area Ladies at Court and Front streets. The mural sits separate and apart from the flood wall murals that line the Ohio River. Leeth says the city had a deal with the Portsmouth Area Ladies, which had the community group paying for creation of the mural while the city will pay for its lighting. Leeth says when the city completes its portion of the project, the mural will be visible at night from the Kentucky side of the Ohio River. He expects the mural will begin to see the light in the next month or so.